Ardyn Lucis Caelum, the King? Ardyn, the villain of Final Fantasy XV, played different roles from spoon-feeding Noctis to pitching things at him. But when push comes to shove, Ardyn suddenly shows up and drowns the world with all the darkness he absorbed. He unleashes the Starscourge and drowns Insomnia and Nilfheim in darkness. All the Imperial Soldiers that served the Empire turned into demons after being forcefully fused with demonic essence. But the question remains: is this all the late Imperial chancellor is made of? And that ability to absorb Starscourge? Where have we seen it before? To figure this out, we have to go all the way back to his past. Before the current king of Lucis gets absorbed into the crystal, the late chancellor walks up to Noctis and reveals a part of his past. He reveals that his true name: Ardyn Lucis Caelum and that, Izunia is a name he picked up from someone else. But because of his last name, it could imply that the late chancellor of Niflheim could have possibly been a king of Lucis in the past. This then explains as well as to why his method of attack is similar to Noctis – the crystallization of multiple weapons while able to suspend himself in mid-air. Let’s not forget that he has similar powers to that of Noctis such as his ability to warp-strike. And Noct’s ability to summon blades. 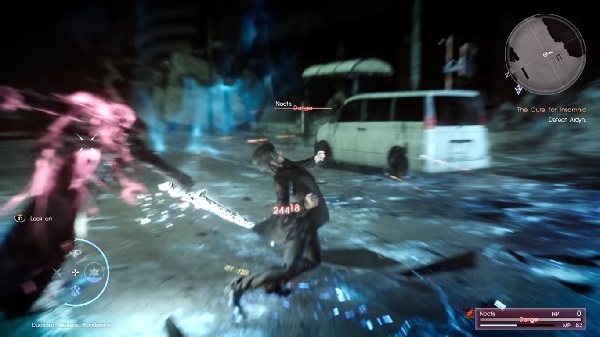 While some may dismiss this as his power coming from the Starscourge or the demons that he absorbed, it could have been anything else but how Noctis’ uses his blades. It could also mean one thing. 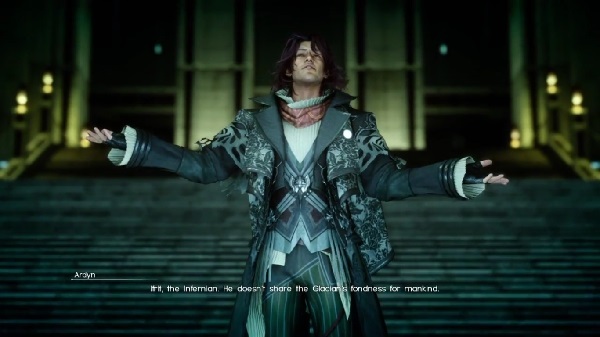 Ardyn, not only is he a former denizen of Lucis but, is also of royal bloodline. He could be a prince, a king, or anyone of royal blood which gave him the trademark ability to summon swords in that way. 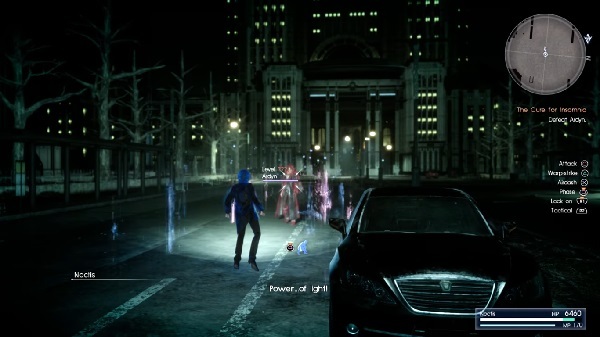 Some would say: wouldn’t all of Lucis have that ability because of the crystal? It is possible. However, what makes Ardyn and Noctis stand out is their ability to not just summon one weapon but multiple weapons. To boot, the weapons Noctis’ summons are weapons from the past kings of Lucis. For Ardyn to have that same ability, may imply that he himself is also of royal blood. Disregarding that Ardyn is of Lucis, the late chancellor may have been an Oracle. One form of evidence is of his past on how he absorbed the Starscourge into himself. Guess who else has that ability? While she is the Oracle of Light, what is important to take note is the fact she can absorb or heal something known as darkness’ blight. And that particular darkness? It is none other than the Starscourge – the same plague that had been terrorizing people since the time of Ardyn. Bahamut reveals this to Noct when the player selects the option to know about “The Accursed”. The scourge within Ardyn is the same as the one as Lunafreya cured. Ardyn also mentions to Noct his story of how he became a “demonized healer”. 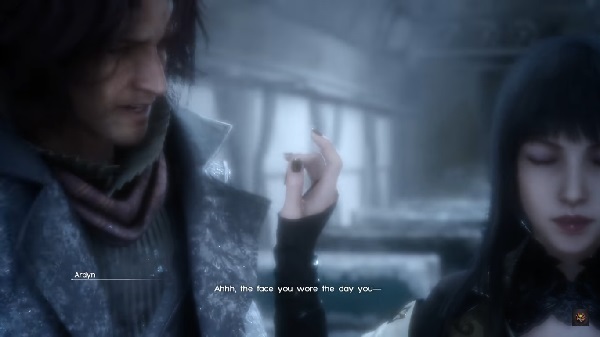 To add, Ardyn had one special ability that Lunafreya also had: his ability to commune with the Astrals. While this may be arguable due to Shiva being in her humanoid form, the fact is – he had met her once. While this is not only a clue about his Immortality, it is may also imply that he spoke to her. Another thing to take note is how he is able to communicate with Ifrit, the one astral who hates people. It’s there people ask: how in the world does he know that? How does he know that Ifrit would rather burn Man into the ground? If he were the king, he would require an Oracle. But the fact he knew about Ifrit means one thing: he can speak to him. This further cements how he could be an Oracle. To be honest, I’m leaning more to the idea that Ardyn could have possibly been an Oracle. He did refer himself as a healer and most people do idolize the oracle as the “saviour”. 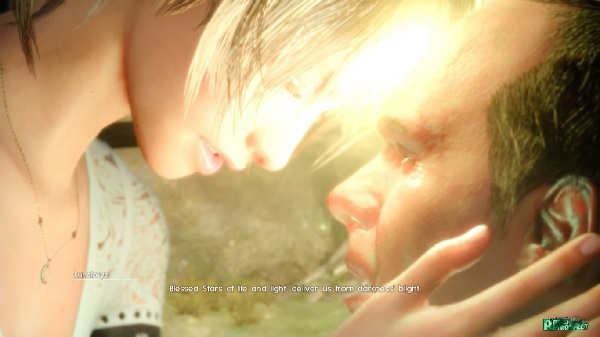 Most of all, his abilities match up more with Lady Lunafreya such as his familiarity with Starscourge and his ability to host the demons that cause it. I’m impressed, I need to say. Actually rarely do I encounter a blog that is both educative and entertaining, and let me tell you, you’ve hit the nail on the head. Your thought is outstanding; the issue is one thing that not enough people are speaking intelligently about. I’m really content that I stumbled across this in my search for some thing relating to this. I’m impressed, I ought to say. Definitely hardly ever do I encounter a weblog that is both educative and entertaining, and let me tell you, you may have hit the nail on the head. Your idea is outstanding; the issue is one thing that not sufficient people today are speaking intelligently about. I am incredibly happy that I stumbled across this in my search for one thing relating to this. Thank you for all your effort on this website. Kate really likes engaging in investigations and it’s easy to see why. We all notice all concerning the dynamic manner you give both useful and interesting tips and hints on your website and as well boost contribution from the others on the issue while my simple princess is without a doubt studying a whole lot. Take advantage of the rest of the year. You are performing a useful job. as accorded to other theories, all maybe a lot reasonable and true, given the fact that only hints were give..
All you have to do is look at the cover of the Cosmo book….He was King and Oracle. The book shows Bahamut giving Ardyn the crystal and Gentiana watching. That’s one possible way to look at it too. :) Thanks for your input! Actually, what you’re saying is true – he might be the reason why the Astrals chose to split the powers of both the Oracle and the King.